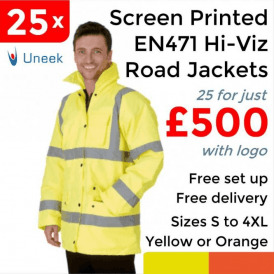 All inclusive workwear and promotional clothing offers you won't see beaten. 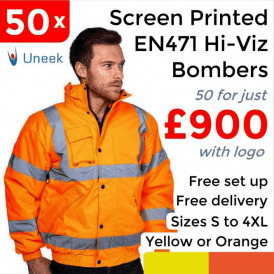 Ordering company clothing can be confusing so we have set up these bundle deals to give you a clear and easy way to browse and order your branded clothing in bulk. 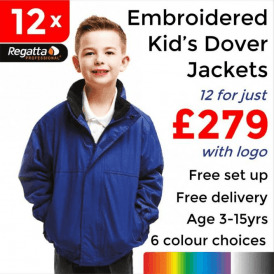 Bundle quantity - if it's embroidered or printed - the type of product - the garment brand - the total price including your logo - the colour and size options you have to choose from. 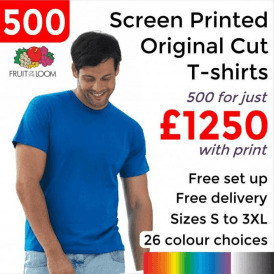 Every bundle includes your design to 1 position, if it is printed that will be a 1 colour design. 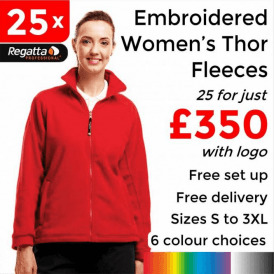 If it is embroidered it can be full colour. Once you have chosen your product colour and sizes you will be directed to the page where you upload your logo. 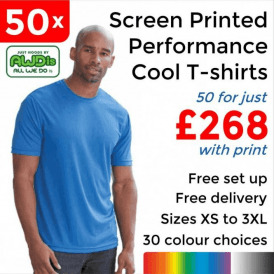 Printing - Ideally we need an EPS file which is editable, a hi res Jpeg or PDF is also suitable so send what you have and if there's any problems we will contact you. I want more than 1 logo on each item! Filters on the left side of the category pages make browsing the bundles really quick and easy. 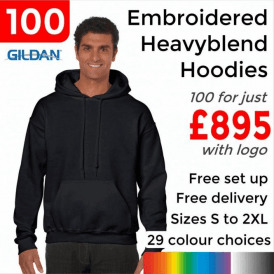 You can buy bundles of Polo Shirts, Fleeces, Jackets, T-shirts, Hoodies, Hi-Vis and Sweatshirts. Every bundle comes in 4 different quantity options, these depend on the value of the product with possible breaks of 8, 12, 25, 50, 100, 250 or 500 items. 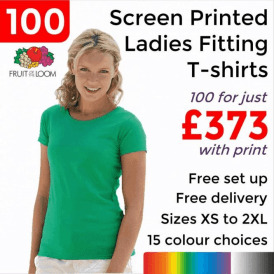 These offers are not all just your typical unisex fitting budget items, the range is comprehensive and includes Unisex, Ladies and Children's specific items. Click on the Size Guide tab when on any product page to view the chest to fit options for that product. 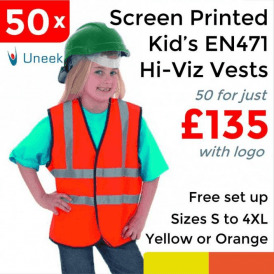 For small businesses with few employees then this Uneek uniform tradepack will be great for you! 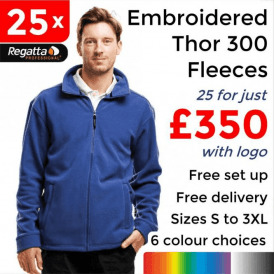 For just £75 you can order 5 polo shirts, 2 sweatshirts and 1 zip up fleece complete with your embroidered logo on the left breast. 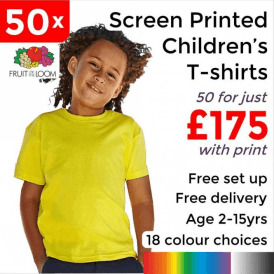 Set up is included and you only need to order 2 packs for free delivery!